The origins of US Airways can be traced back to Pennsylvania in the year 1939 as All American Aviation. This company eventually changed its name to Allegheny AIrlines and experienced a series of mergers with Lake Central Airlines and Mowhawk Airlines. As Allegheny contracted Henson Aviation, the predecessor to the modern Piedmont Airlines, to operate Allegheny commuter flights, the first type of arrangement in the industry. Allegheny changed its name to USAir in 1979 to coincide with the Airline Deregulation Act. The new name reflected the airlines expansion ambitions, as the Allegheny name was still representative of the airline’s Pennsylvania roots. The carrier focused on expanding into the southeast and had success with leisure roots to Florida. To help suit their needs, USAir became the launch customer for the Boeing 737-300. Originally USAir negotiated with McDonnell Douglas to work on a replacement for the Douglas DC-9, though their proposal didn’t match USAir’s needs, so the airline turned to Boeing to design an aircraft to match their needs. In the late 1980s, USAir was looking to expand westward. In 1986, the carrier purchased San Diego based Pacific Southwest Airlines. In order to expand on the East Coast the airline purchased Piedmont Airlines. The purchase gave Piedmont an important hub in Charlotte, N.C. This fit well for the airline’s strategy of east coast flights to Florida. The two acquisitions made USAir one of the largest airlines in the world at the time with more than 5,000 flights daily. During this time the airline operated a varied fleet with aircraft like the Boeing 737 variants, Boeing 727, Boeing 767, Fokker F-28, BAe 146, and Douglas DC-9 and MD-80. Many of these aircraft were acquired through the mergers with the BAe 146s coming from PSA and the Boeing 767s coming from Piedmont. The 1990s saw the airline expand internationally with flights to London, Frankfurt, and Paris. A partnership was formed with British Airways, however, this was short lived as in 1996 the two companies had a messy split ending in a court battle, with British Airways partnering with American Airlines. The same year, USAir started a fleet renewal, with an order for up to 400 Airbus A320 series aircraft and 30 Airbus A330s. In 1997 the airline changed names for the final time, becoming US Airways. Although most of the 1990s had been profitable for the airline, the turn of the century brought financial issues. 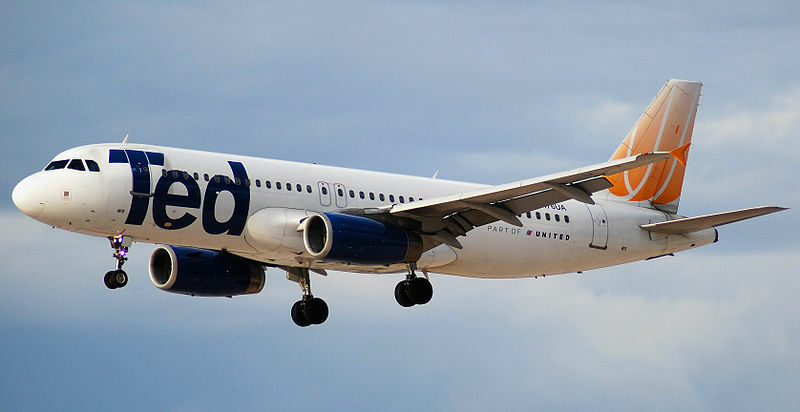 In early 2000, it was announced that United Airlines would purchase the carrier for $4.3 billion. The deal was unfavorable with labor unions and regulators, and United pulled out of negotiations in July 2001. The failure of the merger led to US Airways declaring chapter 11 bankruptcy in August 2002. In order to cut costs the airline cut free meals on domestic flights, switching to a buy onboard program. 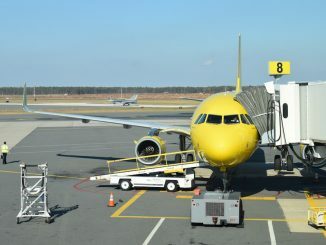 The airline also liquidated all of the pilots pensions in 2003, the first airline to do so. These cost cutting measures, combined with a federal loan, allowed US Airways to exit bankruptcy after only a little more than a year. However, US Airways was still on poor financial footing after exiting bankruptcy and sought a merger partner. They were unable to find a suitor and in 2004, US Airways entered bankruptcy for a second time. The airline began working with America West Airlines for a merger. On May 19, 2005, the two airlines announced the merger. The deal would see America West purchase US Airways, with the US Airways name surviving. The deal was approved on Sept. 13, 2005 by the shareholders of America West and was approved a few days later by bankruptcy courts. When the dust settled, the US Airways name would survive but the airline would use America West’s callsign and ICAO identifier. 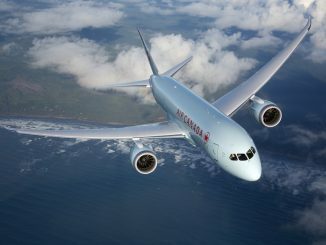 Although consolidation of the two brands began almost immediately after being approved, the two carriers remained on separate certificates until 2008. The pilot and flight attendant groups continued to be separated until the certificates were merged. 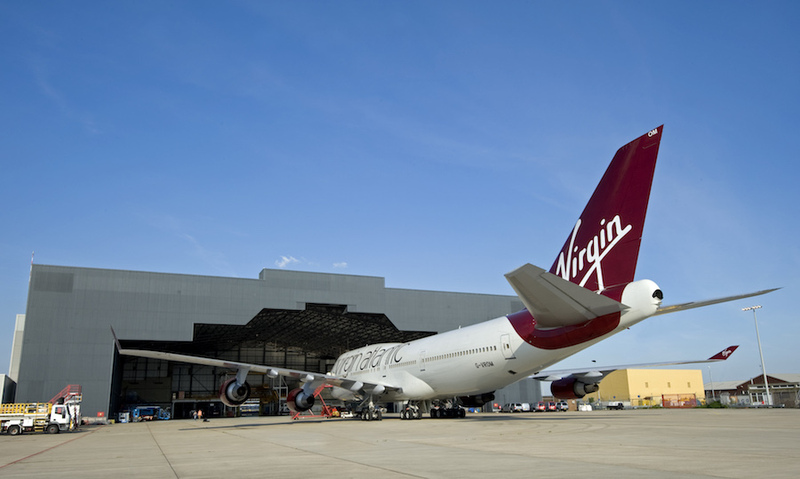 Throughout the rest of the airline history, the carrier was continually looking for a merger partner. Both United and American Airlines were considered merger partners. The final years of the airline were plagued with surveys showing poor customer service and disputes with the pilots’ unions. In February of 2013, US Airways and American Airline announced that they would be merging to form the largest airline in the world. The deal would see the shareholders of American own approximately 75% of the new airline, with the American Airlines name surviving. Initially there was opposition to the proposed merger. Six states, filed a lawsuit to block the merger from happening, citing higher fares and less competition. By November 2013, the two companies reached a deal with the Department of Justice to get the merger approved. The merger was completed by the end of 2013. The US Airways branding slowly began to fade, being replaced with the ‘new American’ livery. US Airways flights at the time were sold as American Airlines operated by US Airways. The final flight to use the ‘Cactus’ callsign departed London for Philadelphia on April 8, 2015. The final US Airways flights would be flown on October 17, 2015. The flight’s callsign, US Airways flight 1939, honored the year US Airways predecessor All American Aviation was founded. The flight originated at Philadelphia on October 16, and travelled to all of the US Airways hubs: Charlotte, Phoenix, and finally San Francisco, before returning to Philadelphia at 5:52 a.m. the following morning. US Airways history was filled with mergers and acquisitions, creating a diverse history that shaped one of the largest airlines in the U.S. This history still lives on with American Airlines having heritage liveries for several of the airlines that made up US Airways. 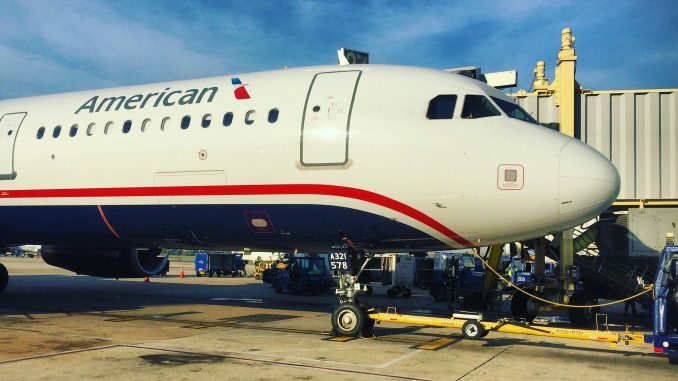 Although the airline is now gone, there are still many former US Airways employees with American now that help to ensure the airline’s legacy lives on. 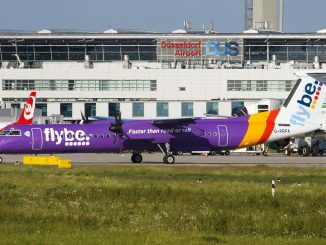 Flybe Launches New Route in Effort to Connect Smaller Cities in U.K.